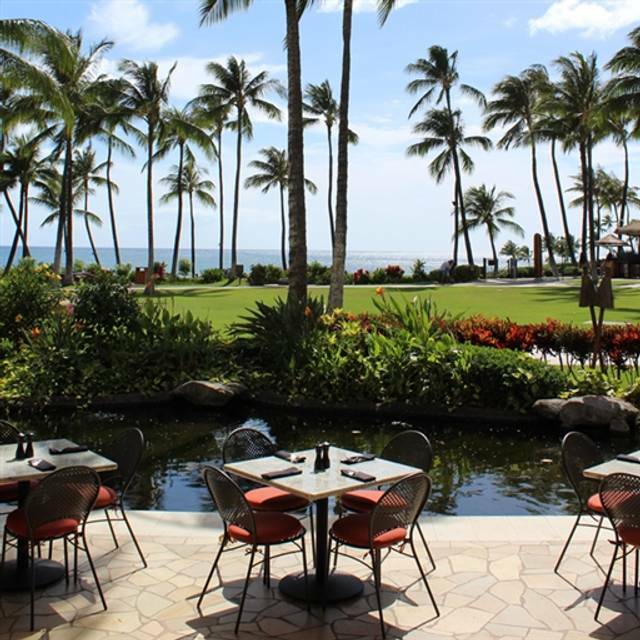 Longhi's Italian Seafood and Steak House features the finest and freshest ingredients from Hawaii and around the world. 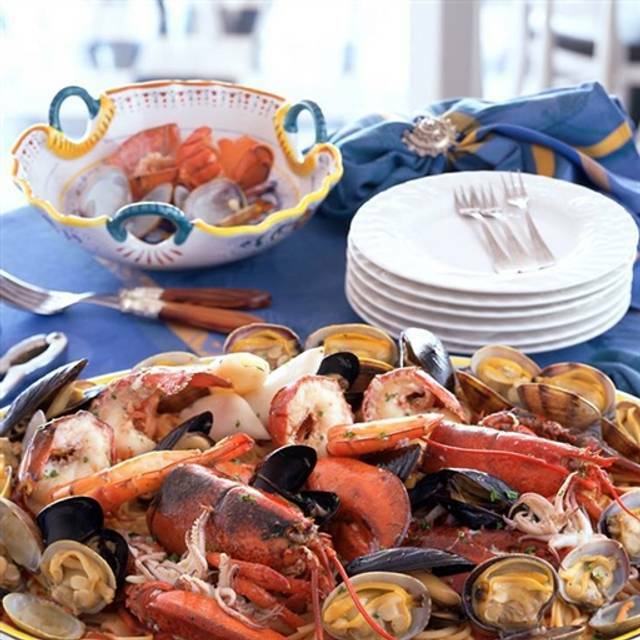 Serving prime steaks, fresh Island fish, pastas, seafood and live lobsters in a spectacular open air atmosphere with ocean views. Sicilian Mai Tai "Hawaii's Best Mai Tai"
Cambria 2014 Santa Maria Valley P.N. Tony Soter "North Point" 2015 Oregon P.N. 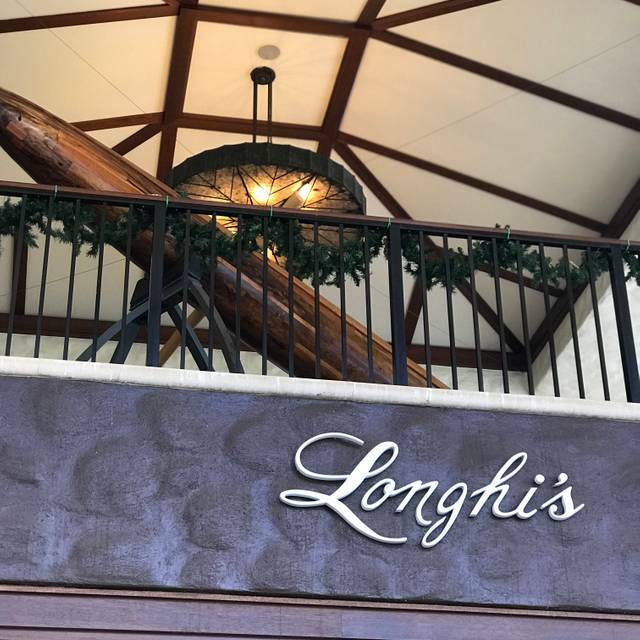 We decided to try Longhi’s again after going there when they first opened at Ko Olina, assuming they would’ve worked out the kinks by now. They didn’t. My steak was lukewarm by the time I received it and my husbands pasta was swimming in liquid, resembling a soup more than a pasta. At no point did our waitress check to see how we were doing or how the food was. The only time a refill was offered was after receiving our check. And the offer was to refill our water - not the soft drinks we had purchased. We will not be going back. Ridiculously overpriced for that quality of food and service. The waitress was very good checking in frequently. Food was yummy, we had a great view! The only down fall was that it was very windy (mother nature) and we sat on the outskirts of the restaurant. We ate hear twice. Flavors were outstanding. Value great for really good food. Compared to other resorts...top notch. Great view, food, and service. Would highly recommend! The atmosphere and food were amazing!! 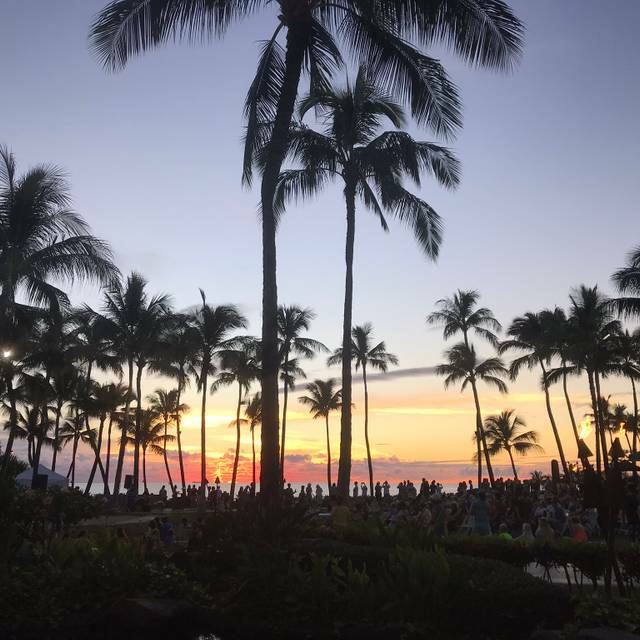 We were there on a Tuesday evening and the luau was happening so we got to see all the fun entertainment. Our food was delicious. I got the Longhi Prawns and there were delicious. My husband got the Longhi fresh fish and he loved it. We finished with the Zuppa dessert and it hit the spot!! Very good Italian style Hawaiian menu. Signature dishes were very good. Service was average. View is outstanding. We had reservations and were sat right on time. It took 30 minutes to get our drinks and our appetizer came out almost 50 minutes after. We ordered the steamer clams and they tasted good but there was only 7 clams for 18.00. Even in the nicest restaurants that is steep for what we got. Then dinner finally came over and hour after we got there and my husband and I ordered the sesame crusted ahi. My fish was over cooked and it sat on a plate full of oil and mushy rice. It was terrible and so oily you couldn’t taste anything but oil. The manager came over and offered to make us something else but it had already been over an hour so we declined and they didn’t charge us. The kids food was decent but we payed 80.00 for two kids meals 7 clams and two drinks. They never came to ask us for more drinks except when the food came. It was just terrible. We went last year and it was totally different I really liked it. But this was very disappointing on our last night in Hawaii. Service was very slow, from drinks to appetizers to the main course. Beautiful setting. Expensive food. Love the foods.. I’ve been here 3x.. ambiance is so relaxing, and most of all kids friendly.. This is a local favorite. 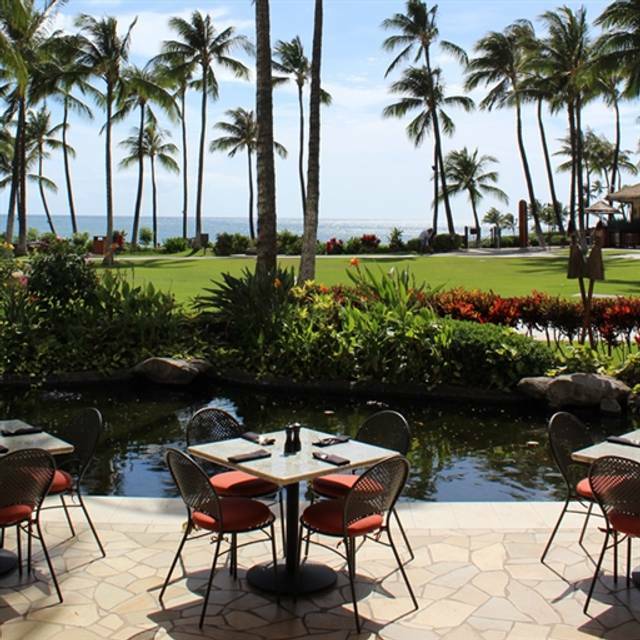 Nice menu, gorgeous views over their lagoon and the ocean, a fun koi pond where kids can feed the fish. Add that the food is great and you know why people keep coming back. Also if you validate valet it is only $2 for 3 hours! First time we eat here was in Maui and it was a awful experience but we gave it another try and food and service was top notch! Breakfast and dinner was amazing. 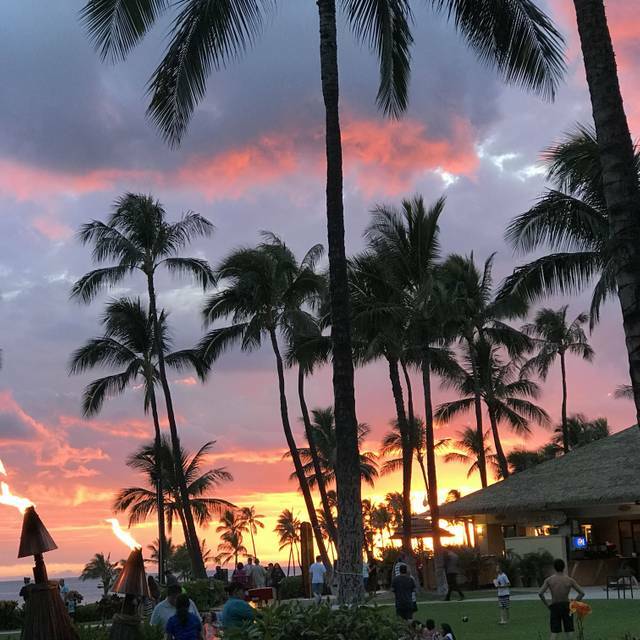 Ko Olina Longhi’s is the best by far! 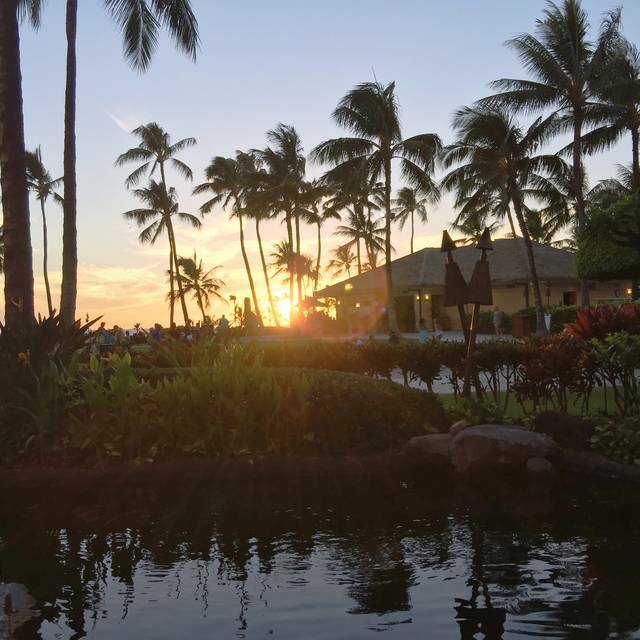 This is a favorite place to watch the sunset in Ko' Olina. More reasonably priced than Mina's at Four Seasons and tables that look out over the ocean. The food was wonderful - I recommend the fish of the day Longhi style. Lance, our server was attentive. If you want quiet this may not be the place as large tables of families are also welcome and during our time we had two small very noisy toddlers to contend with. Great food!!!! Service was amazing.. will be back!! We were a party of 4, we had a great table with a view of the sunset. Our waiter was great and the food was pricey but fantastic!!! The food is good but no where good enough for the prices they charge. Very over priced. OMG, best food I have ever tasted. The crab-stuffed salmon with the dill sauce was delicious! Also enjoyed the eggplant parm appetizer, the kids meal mac n cheese, and the local/military discount. Very good service but ambiance is just fair considering the crazy prices. Food was good and the staff from hostess, wine captain and waitress were all friendly and attentive! Our server, Dianne, was wonderful, attentive, and personable. I’ve brought my friends and visiting family members from the mainland here 3 times since last Thanksgiving. The food was consistently good, and their menu always offers enough variety to satisfy everyone. Just a bit more pricey than justified but yes, we’ll be back! Old friends and family get together was a big hit. Meal and service were outstanding. Everyone thoroughly enjoyed dinner. I enjoyed the lamb very much. Unfortunately my wife thought her shrimp & noodles alfredo were over buttered and my son thought the sauce within the clams & noodles were very watery. This was perhaps the worst meal we have eaten in a long time. The food was horrid- location and service were good, but that was about it. My son’s chicken and fries tasted like they were fried in really old oil. My shrimp in my pasta was not cooked all the way through and actually cold inside. The mozzarella on the caprese salad tasted old. I did complain about the shrimp and the manager apologized and removed from the bill. Overall the food sucked and was way overpriced for the quality (or lack there of). We celebrated our anniversary here recently. The restaurant seated us at a table with outstanding view of the sunset and the koi pond. Although the table was inside, bit felt as if we were outdoor. The appetizers - grilled portobello mushroom on pesto sauce and calamari fritti - were excellent. The main course we had was kaui shrimp and New England scallops, which was perfectly cooked and served on a crostini with a tasty lemony sauce. Service was really great, thanks to our waitress Clara, who made the occasion really special. Highly recommended. 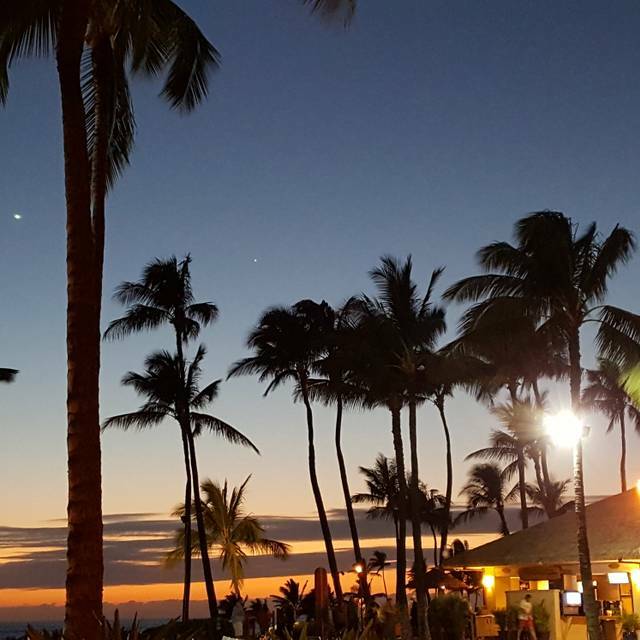 We choose Longhi’s for it’s terrific location and good reviews. Our server was pleasant and efficient and allowed us to pace our dinner to our liking by not rushing through our dinner. My wife ordered the Veal porterhouse and I selected the Rigatoni in a savoury tomato sauce. The pasta was delicious and spiced perfectly for my liking but the Porterhouse appeared to have been prepared in a “sous vide” manner without a proper grinning to enhance its appearance. It was tender and a healthy portion however it was very bland tasting and eating meat that is grey in colour is not appetizing unless eating a pork chop. All in all the service, pasta and ambiance was great; however we rate the Porterhouse-2/5. The food is just ok, doesn’t worth the price. I think it is overpriced. The room and the setup looks very cheap. Great dinner at sunset, special evening. The food, service and view were all awesome. We are local Kamaaina's and loved our breakfast experience at Longhi's! Everyone was friendly, attentive and spot on. Definitely will be back. Food quality excellent as well. Great spot and nice addition to Ko Olina choices. The menu had good variety for my picky eater wife. crab appetizer was supposed to be potato crusted but had fried shoestring potatoes heaped on top, the beef carpaccio was good. the main course arrived before the appetizers were finished. the main courses were underwhelming for the high price. Beautiful view, very good service. Food was average and overall is is just overpriced. Beautiful place to have dinner and watch the sunset. When we arrived, the hostess walked up and didn’t say anything. She only looked at us. Since she didn’t greet us, we had to state that we had a reservation. We were seated away from the sunset view even though tables were open. 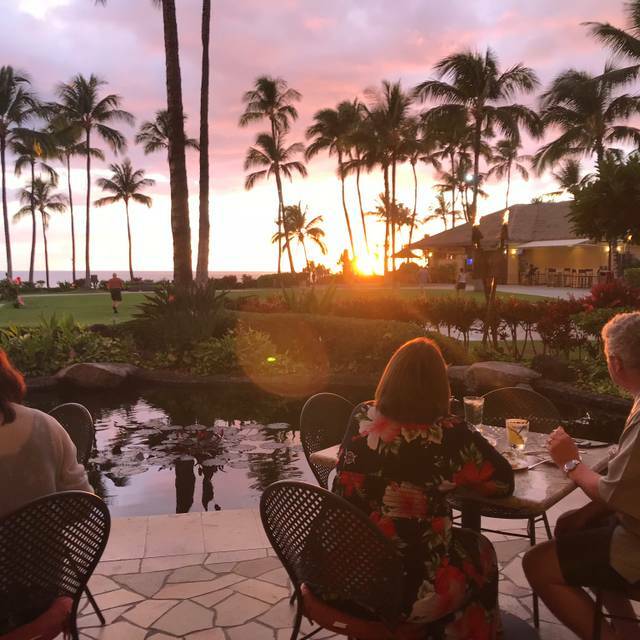 When we asked about sitting in an area to watch the sunset, we were told those tables were already requested. During our 2 hours there, those tables remained open. The food was delicious and our waitress was attentive without hovering. We enjoyed the potato crab cakes and they were perfect. The salmon was done wonderfully as were the prawns Venice. They also offered a decent wine list. At the table my girlfriend and I were sat at, there was a beautiful view of the koi fish, sunset, and the luau performance. It was quite loud but I could still hear my girlfriend in a normal talking voice, other than that the ambience of the restaurant was quite breathtaking. Not to mention, the food was amazing!! I ordered the stuffed salmon with crab bisque and a side of rice, my girlfriend could not stop picking off my plate, I don’t blame her, it was DELICIOUS!! The bisque, rice and stuffed salmon in one bite was to-die-for, it’s a little pricy for two of us but totally worth it. Not only was the food great but so was the service our waitress had no problem talking to us and she was very helpful, she described the menu to us along with the deserts. At one point when our food was brought out, our waitress arranged the table to make it look more photogenic and offered to take our pic, which we were already planning to do, she basically read our minds. Anyways, my girlfriend and I really appreciated that. This restaurant is definitely a GO-TO next time I plan on going on a date, the food was delicious, the service was great and the atmosphere was perfect. I highly recommend if you’re looking for a nice romantic dinner date, it may be a little pricy but worth the while. Delicious food beautiful ambiance and our hostess and server were phenomenal. A little over priced, however, I had the veal porterhouse and worth every penny. Anniversary dinner was fantastic. Great venue and fantastic experience from salad through the main entree and dessert (macadamia nut pie). Service was 5 star and matched the food.